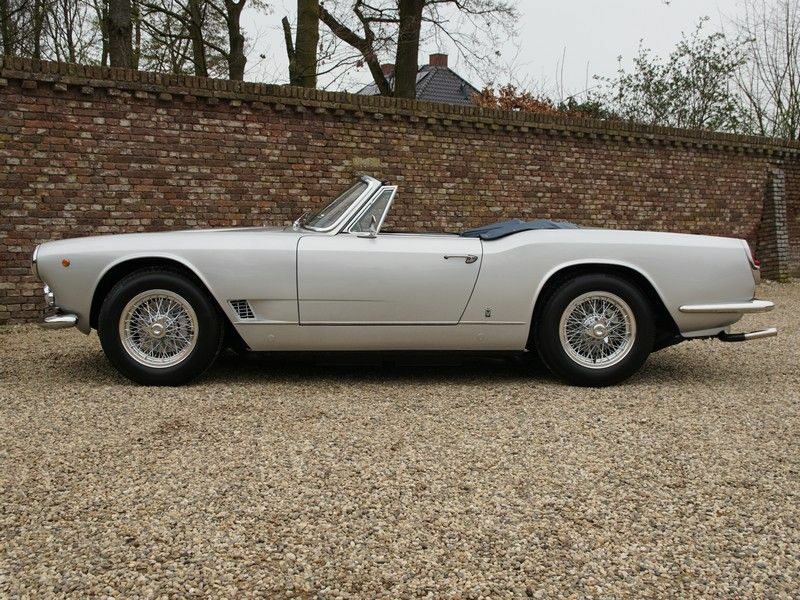 1962 Maserati 3500 GT Vignale Spyder. 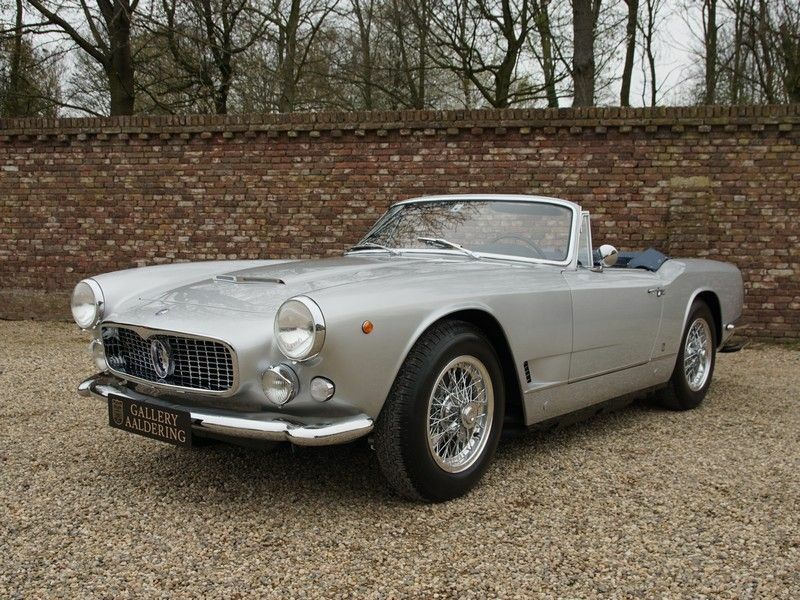 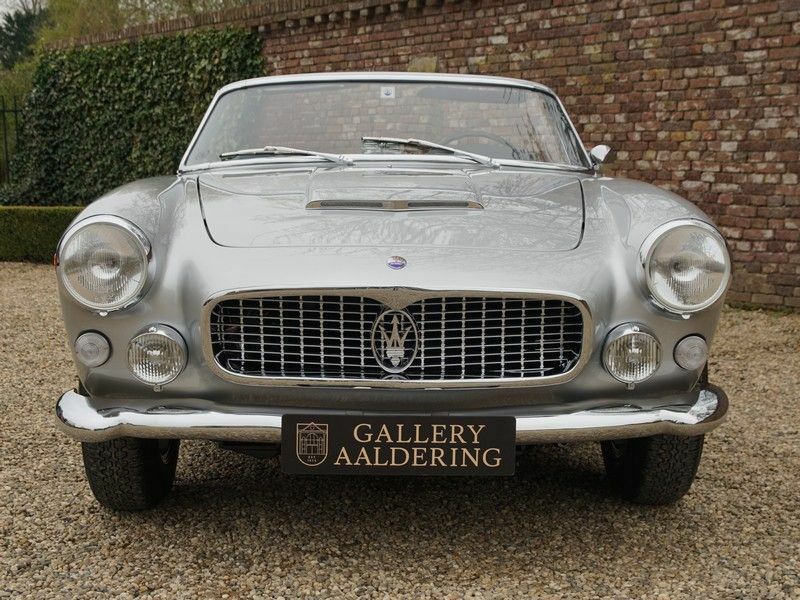 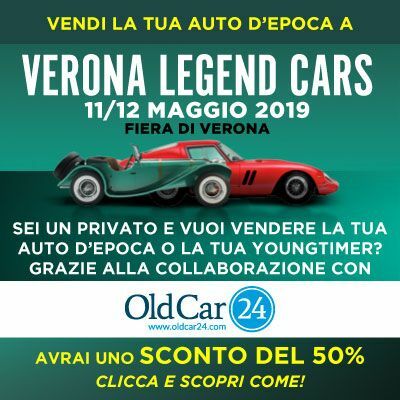 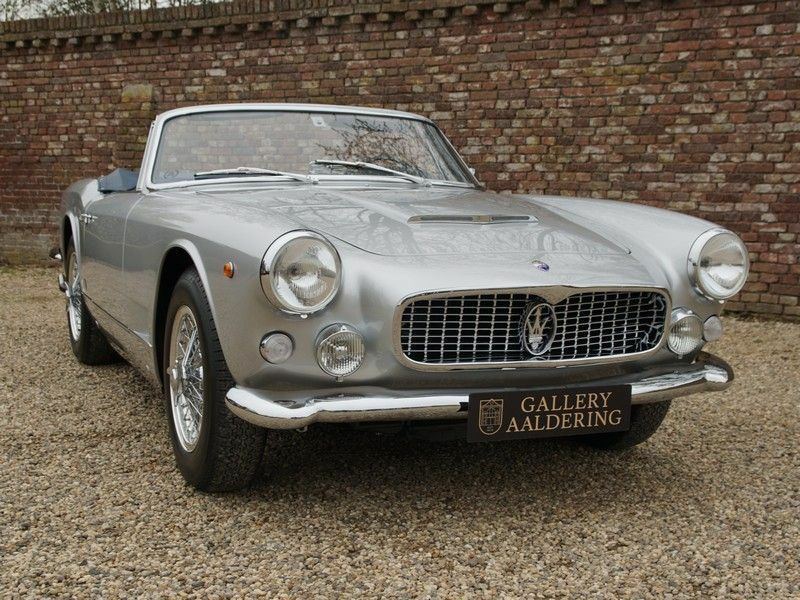 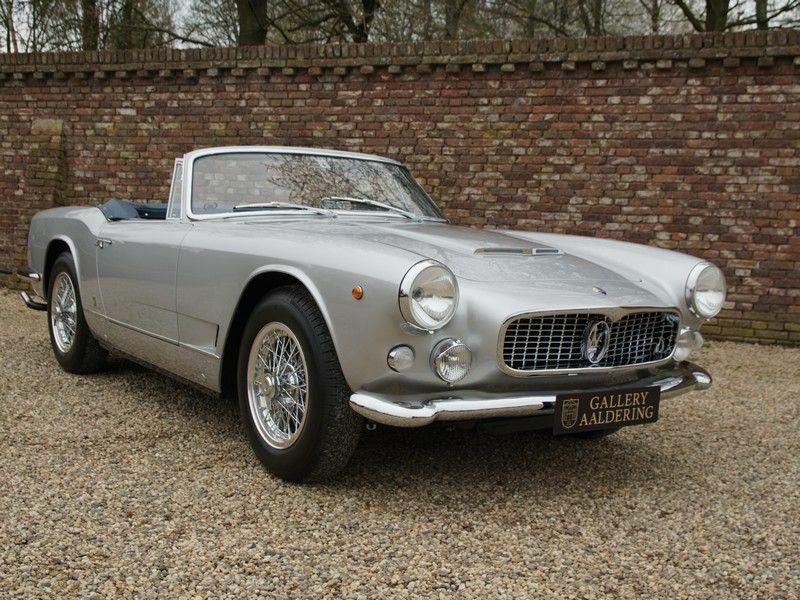 We have the actual Turin Motor show Car of 1962, a Maserati 3500 GT Vignale Spyder! 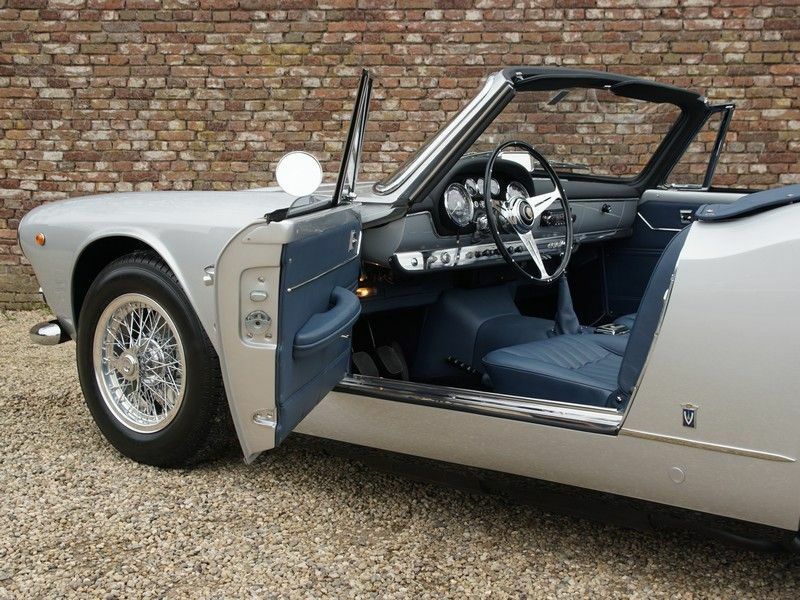 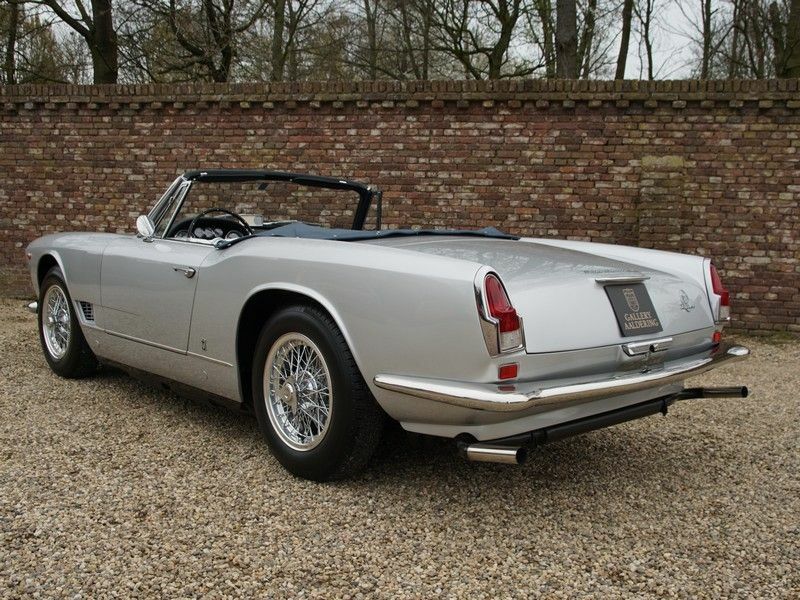 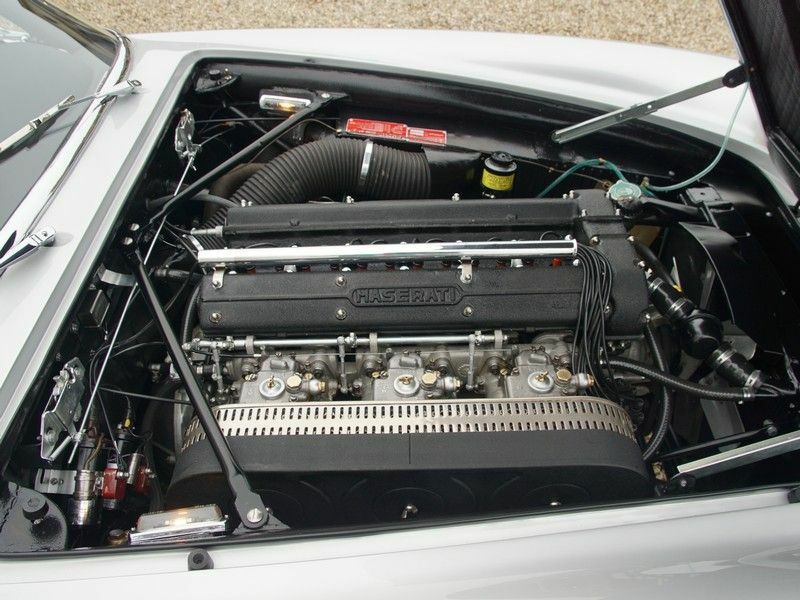 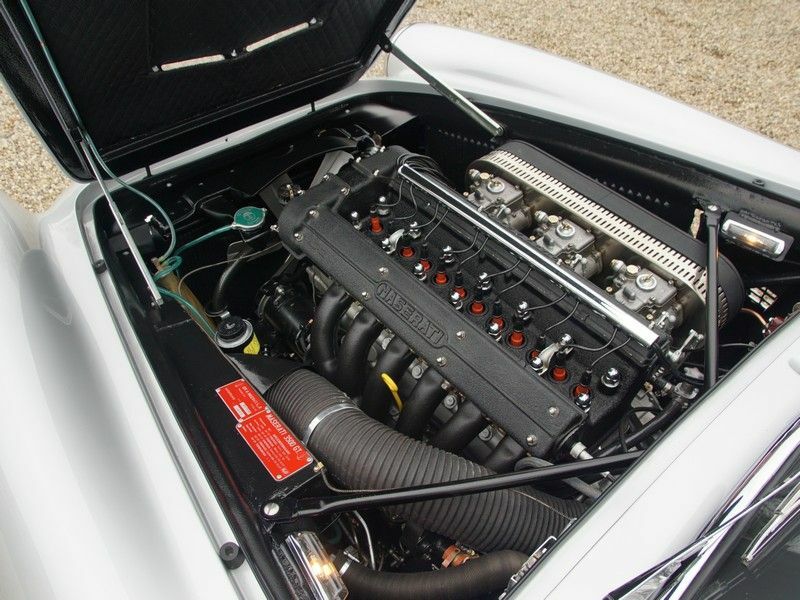 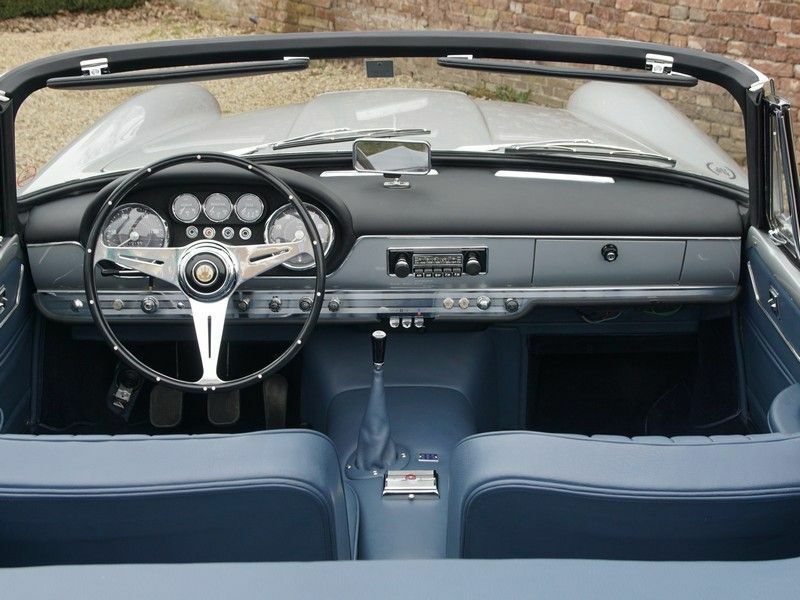 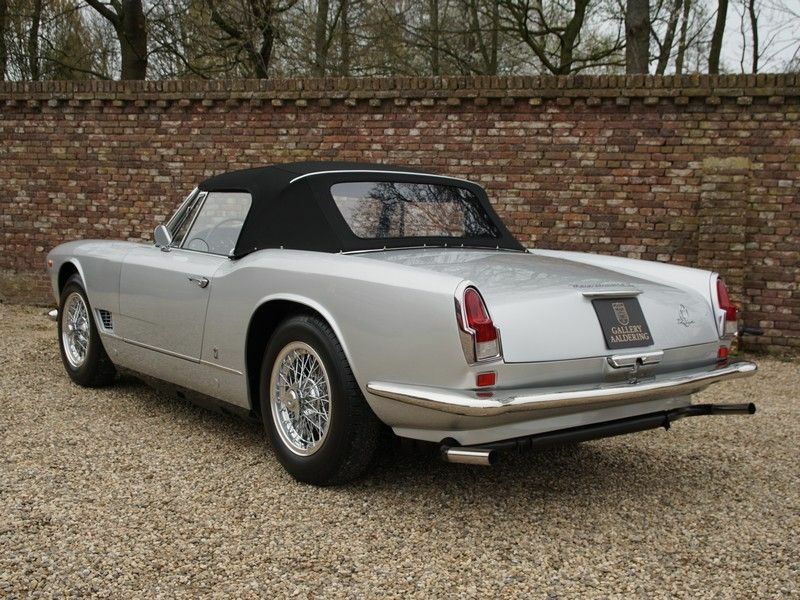 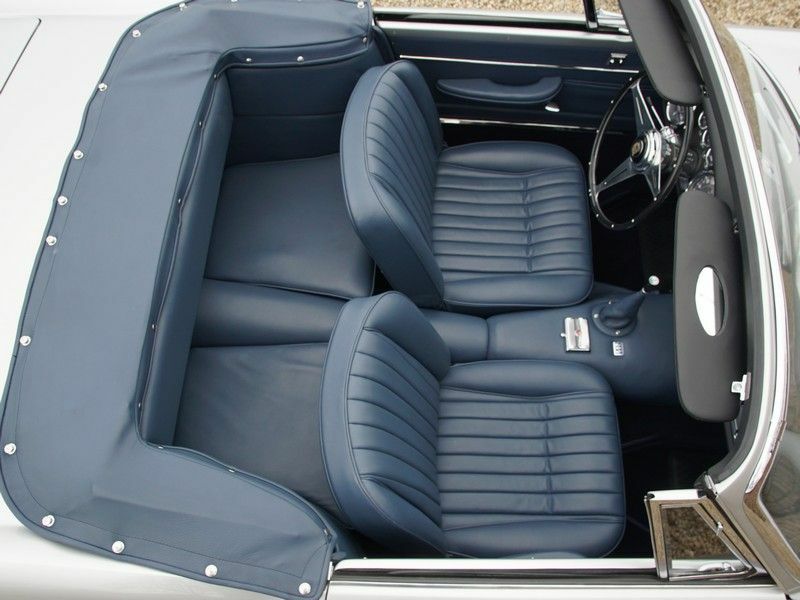 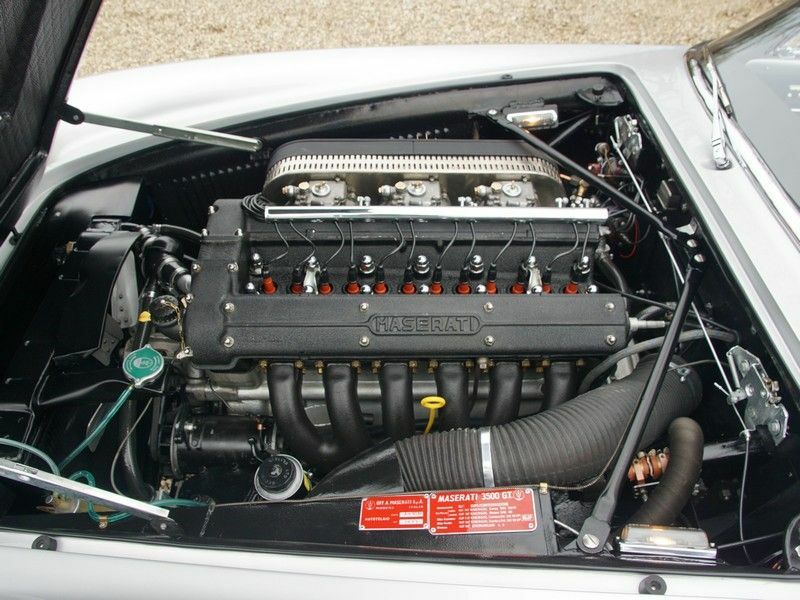 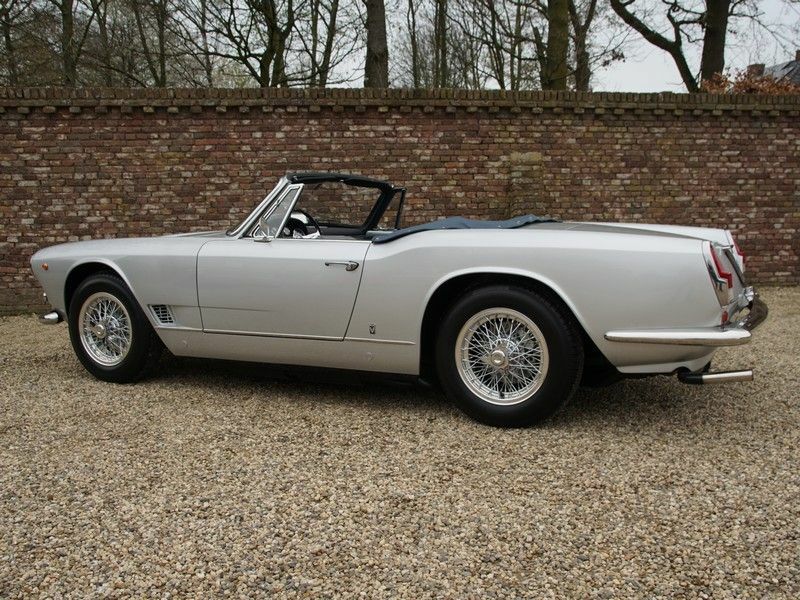 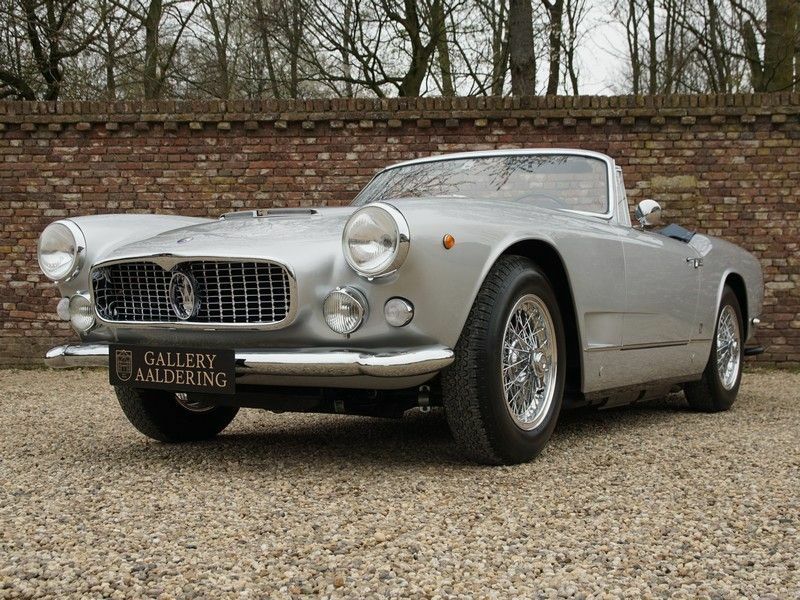 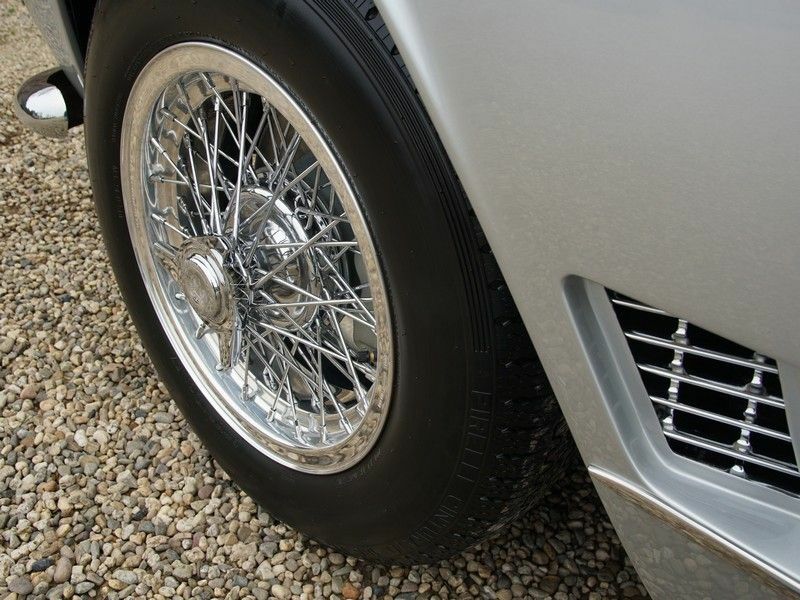 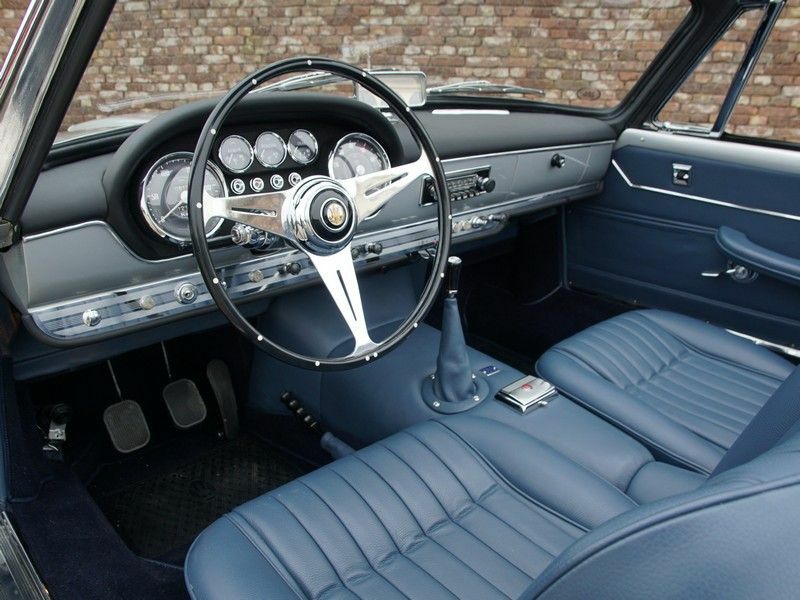 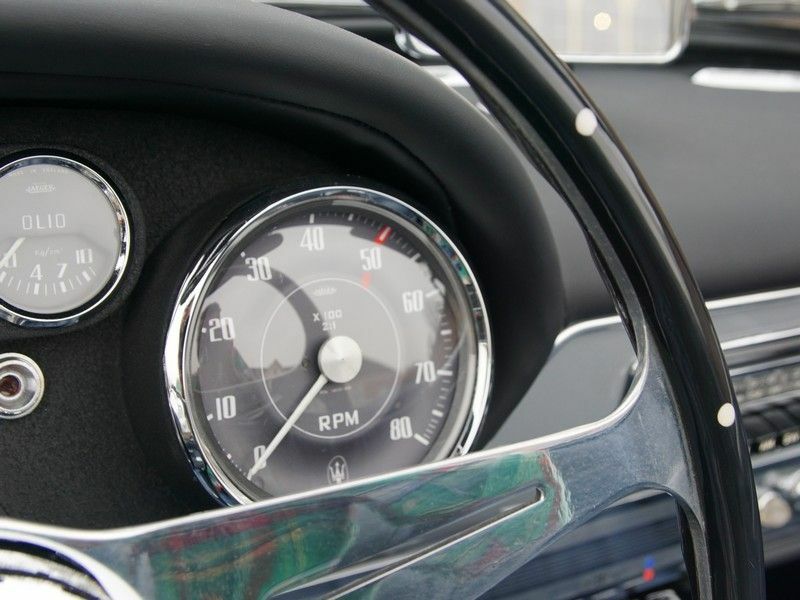 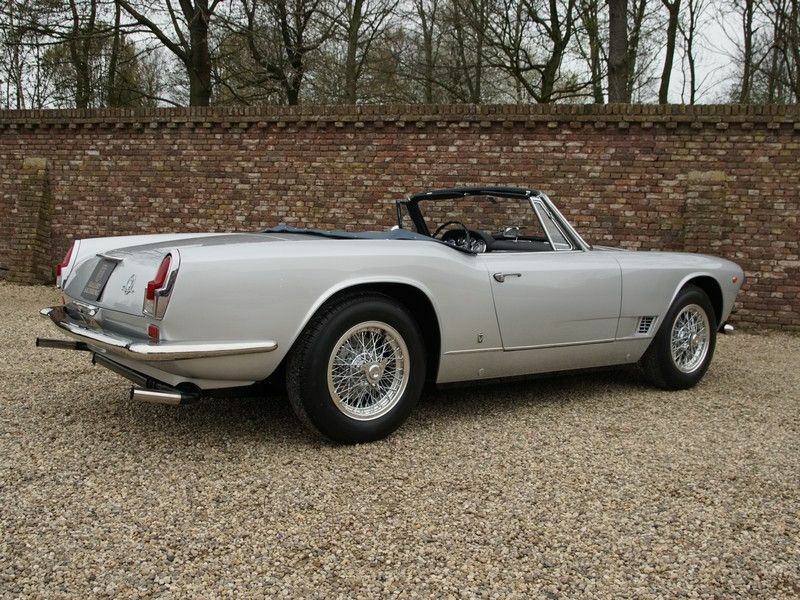 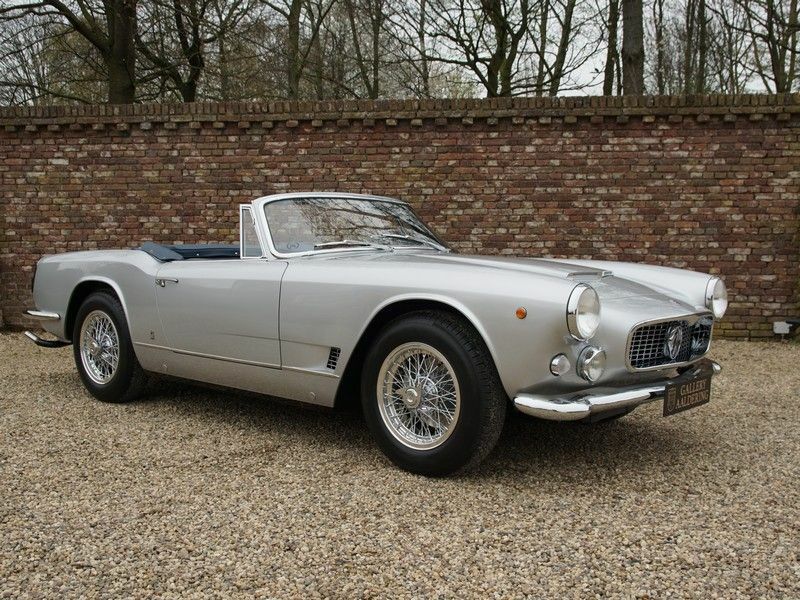 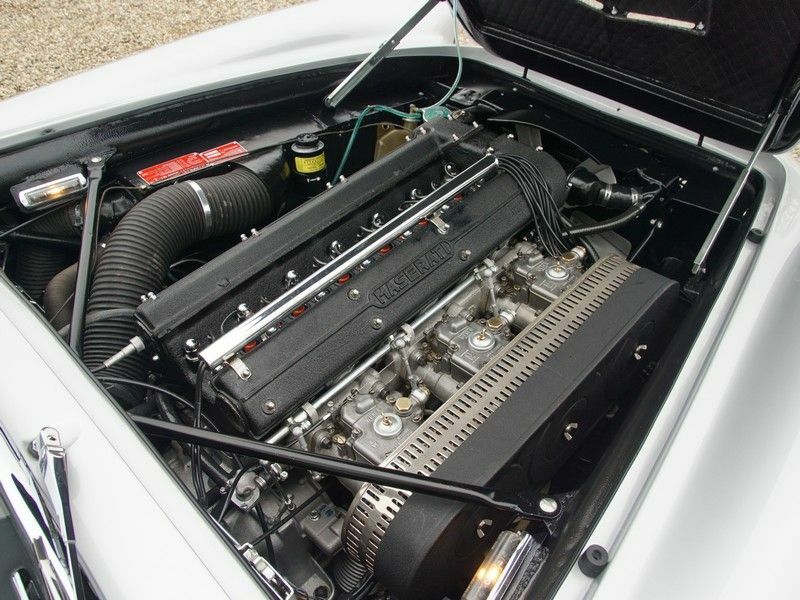 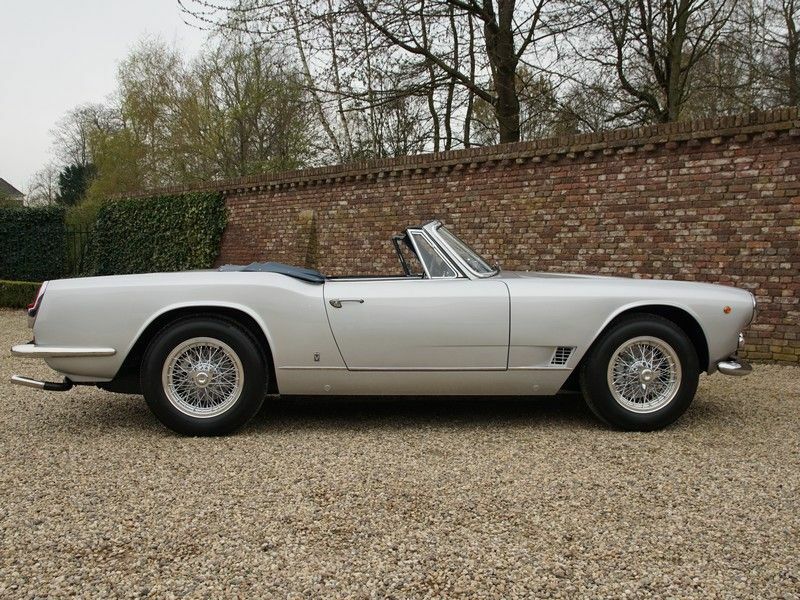 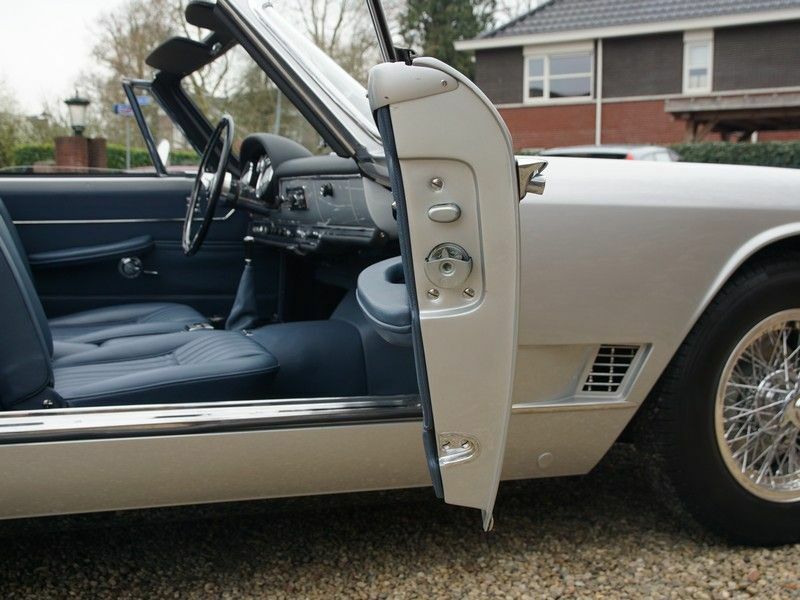 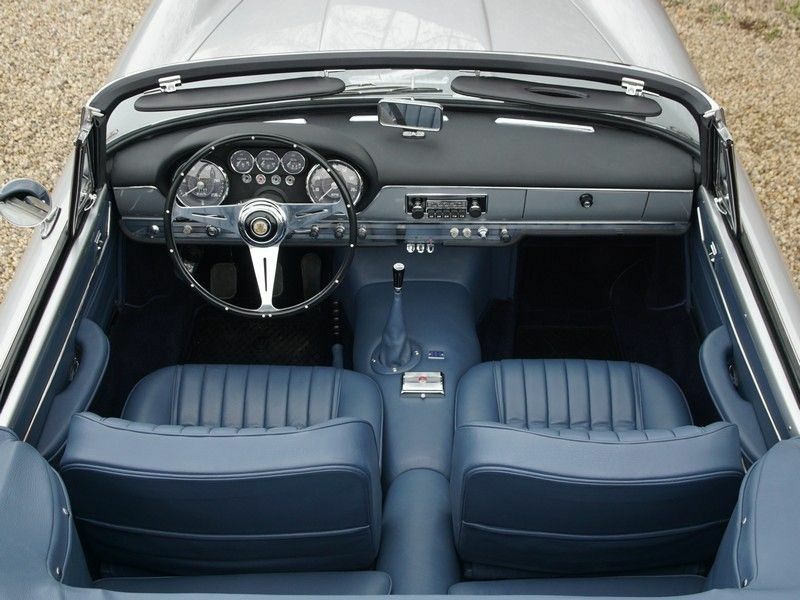 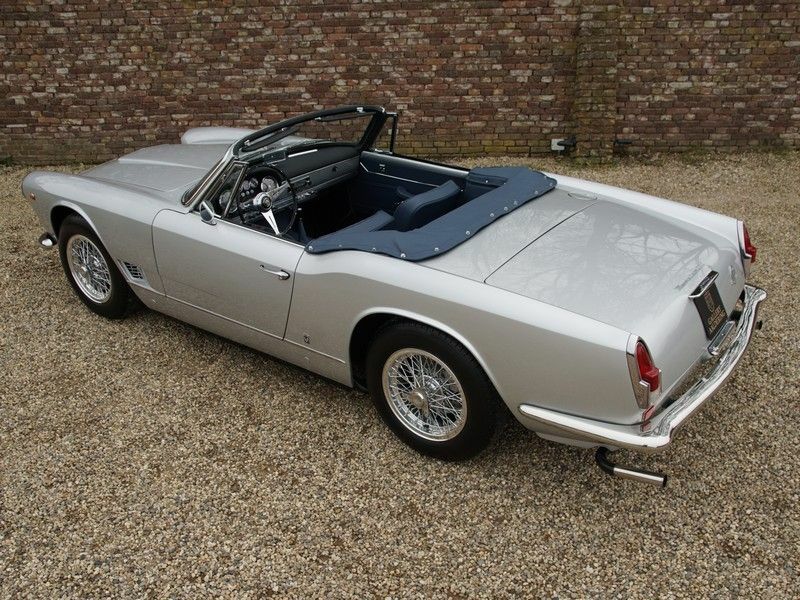 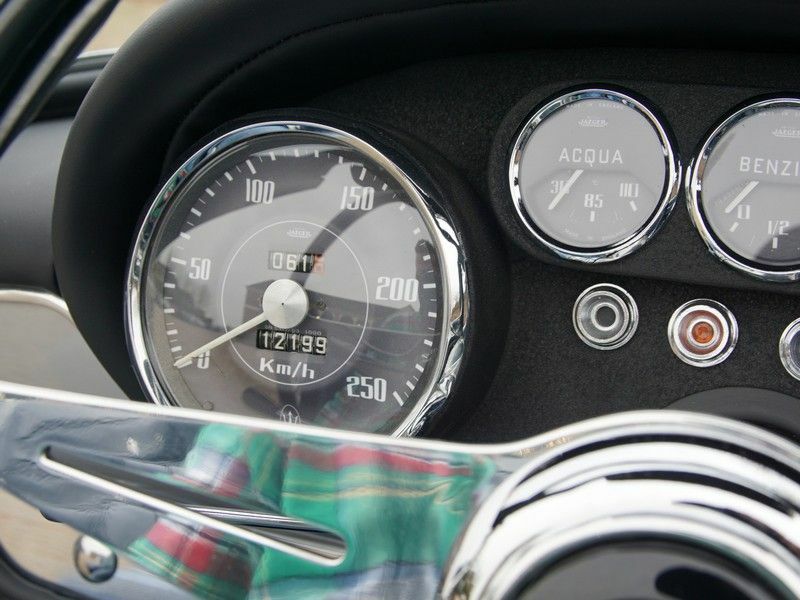 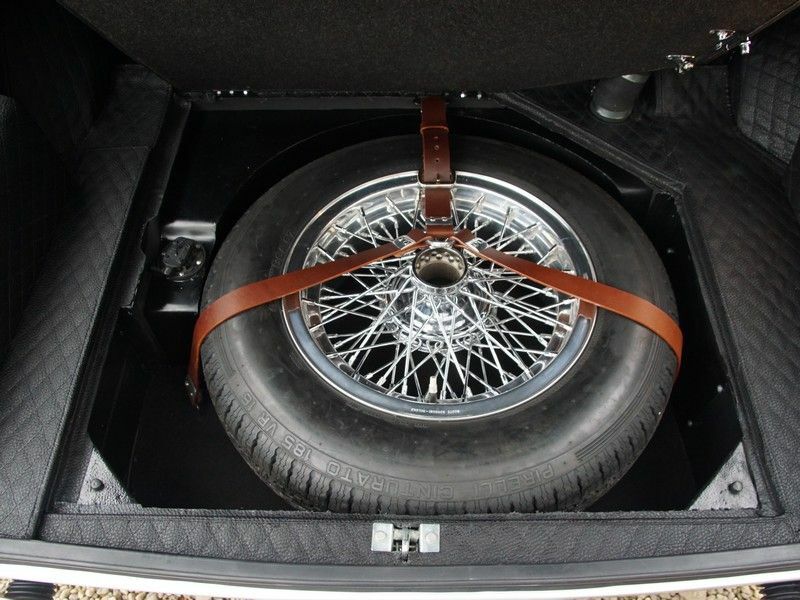 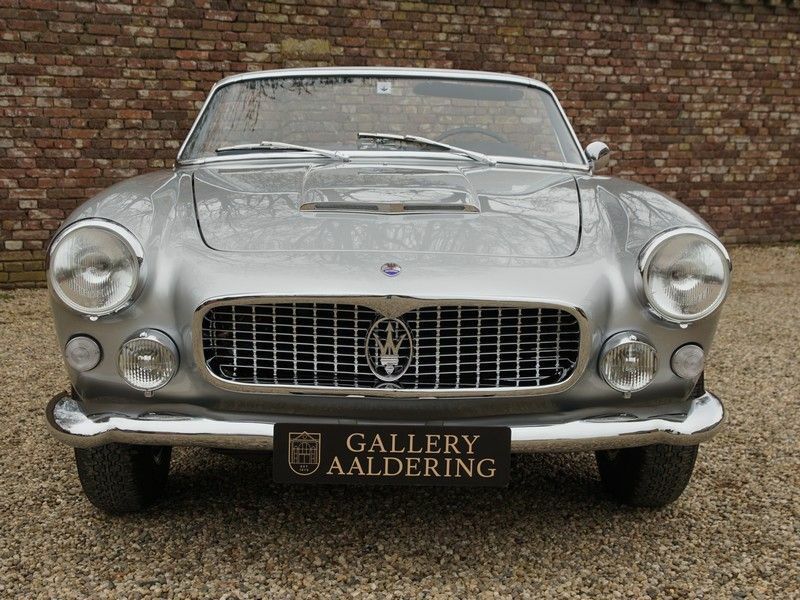 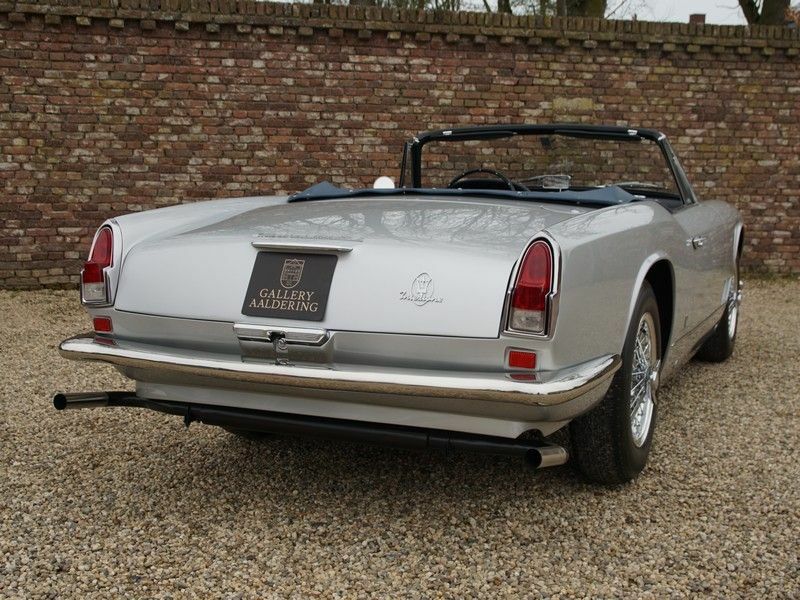 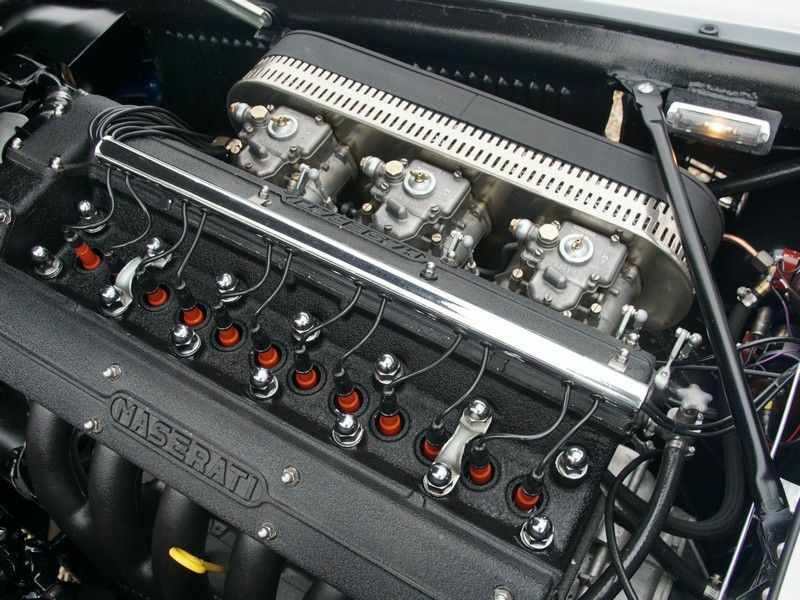 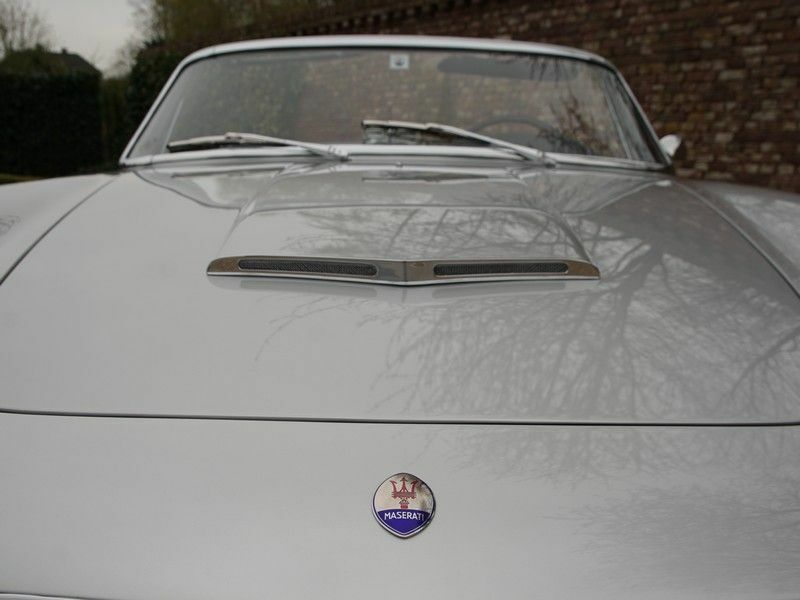 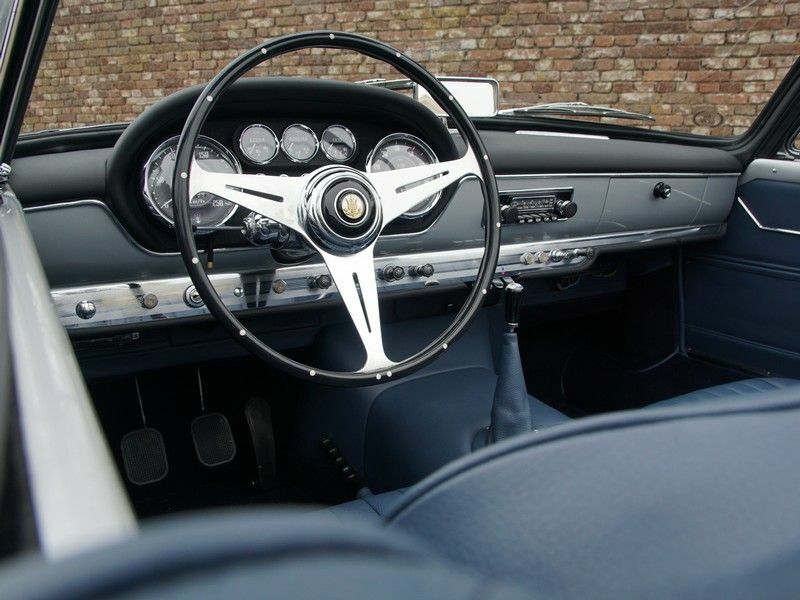 This truly beautiful Vignale Spyder has recently completely restored and mechanically rebuilt. 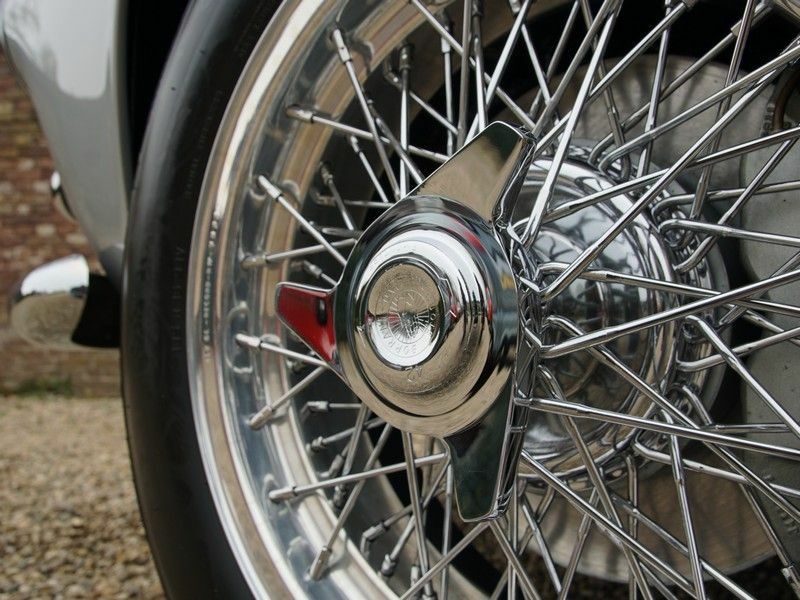 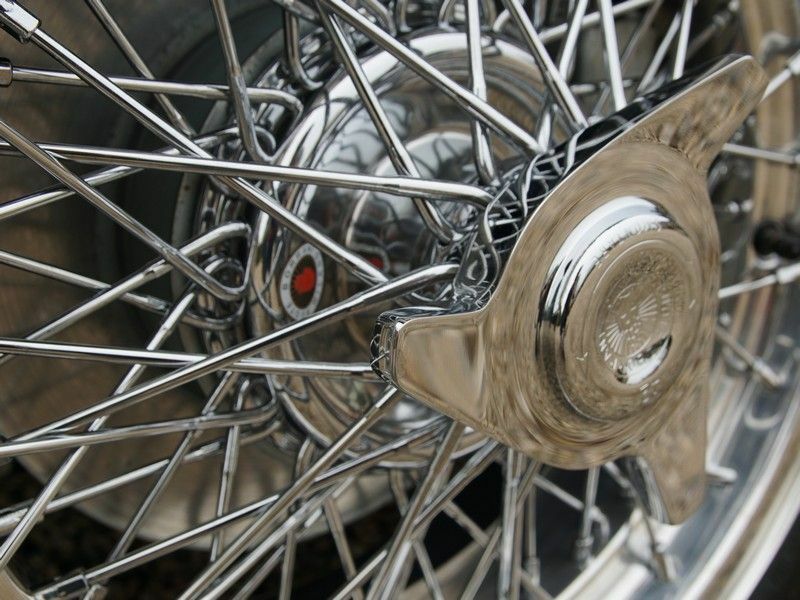 Neither effort nor costs have been spared to bring this Bare-Metal and Nut and Bolt restoration to a perfect, authentic and detailed finish! 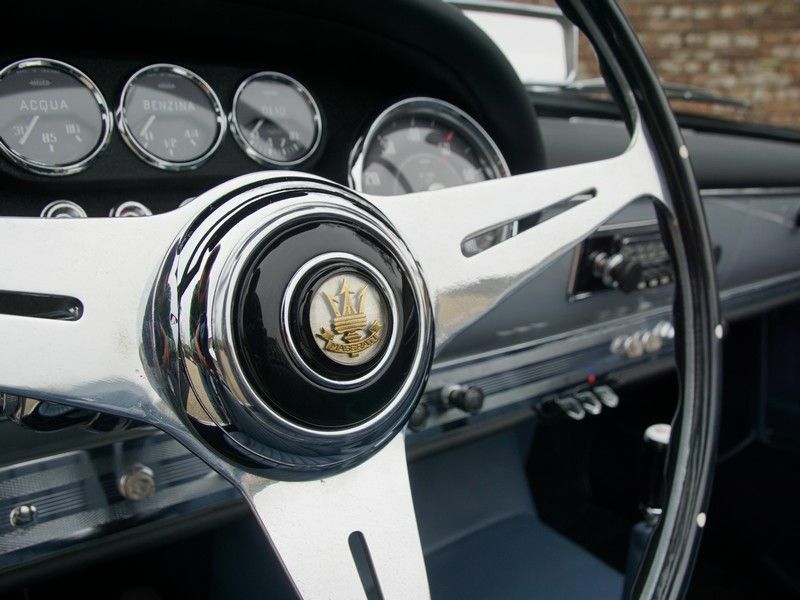 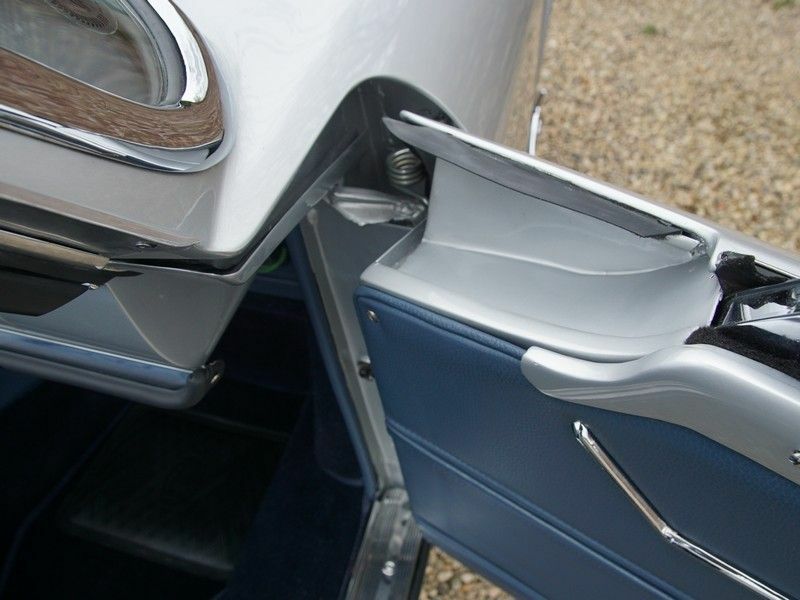 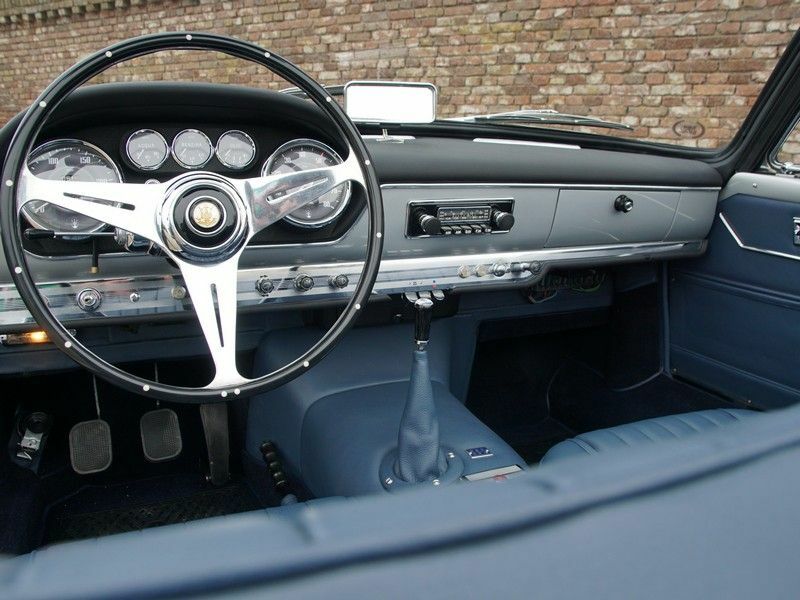 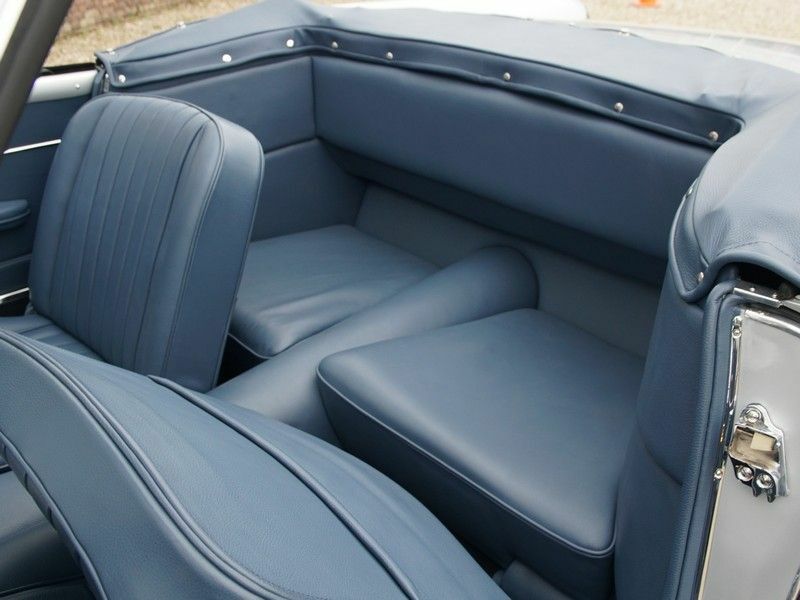 The whole process has been meticulously documented with many photos detailing various stages of the restoration such as the; bare bodywork, the interior and mechanical aspects. 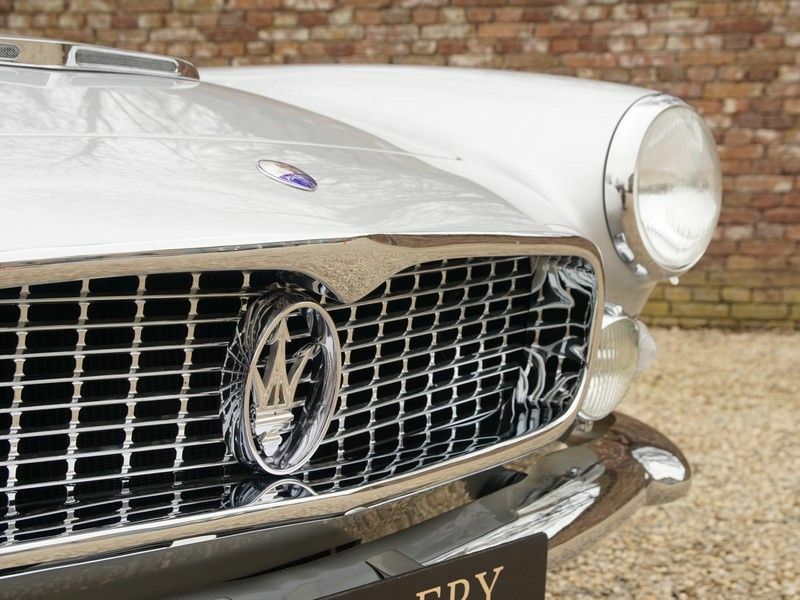 This also happens to be the most popular Vignale Spyder version with its 5-speed gearbox and disc brakes on all four wheels. 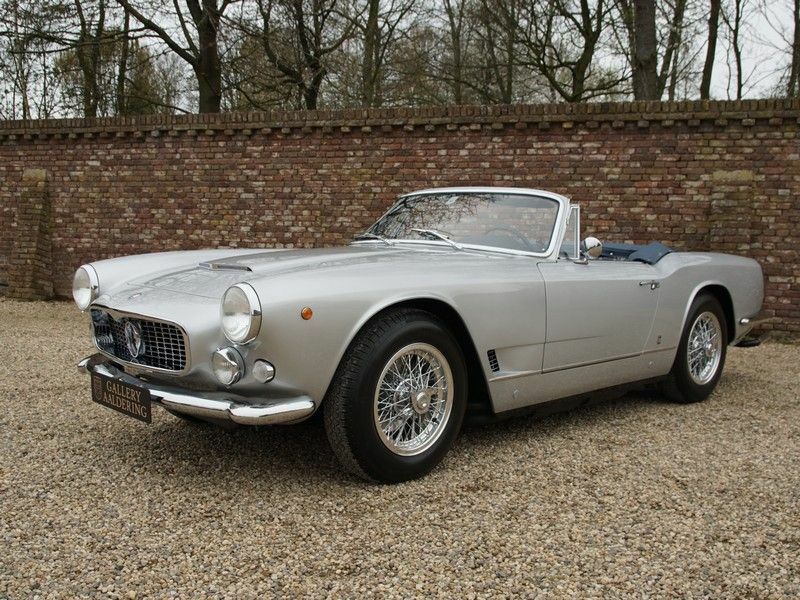 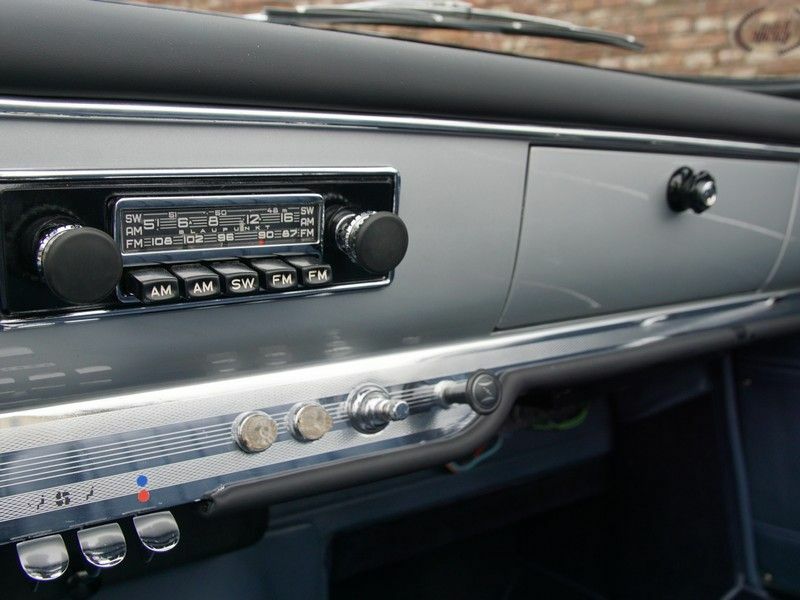 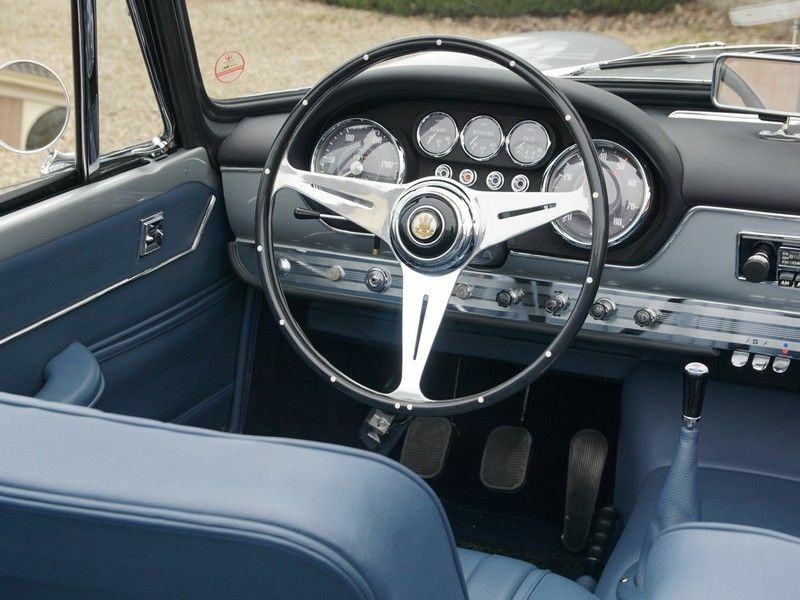 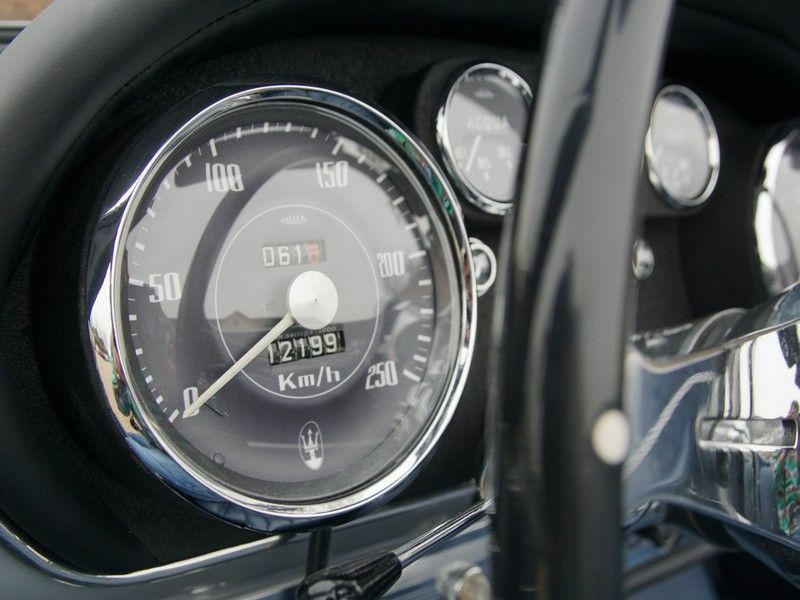 This four-owner car is an original European, when supplied to its first owner in Milan. 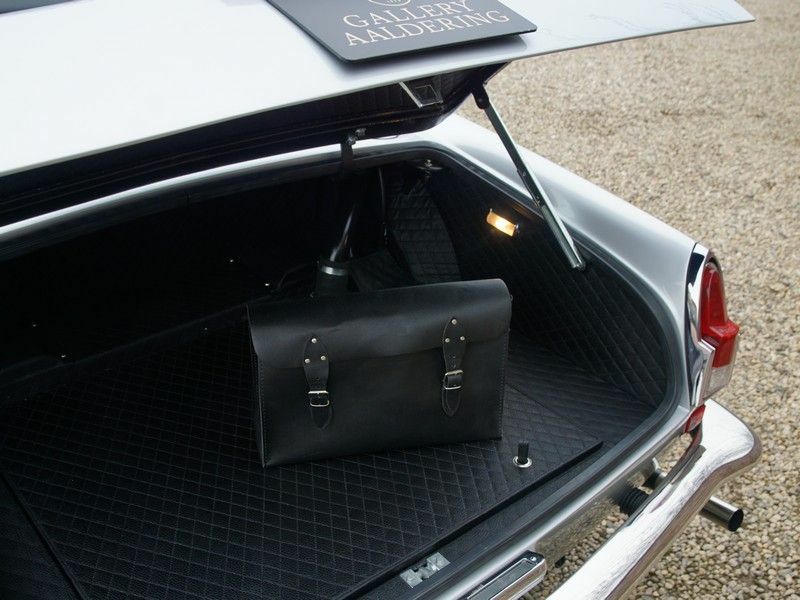 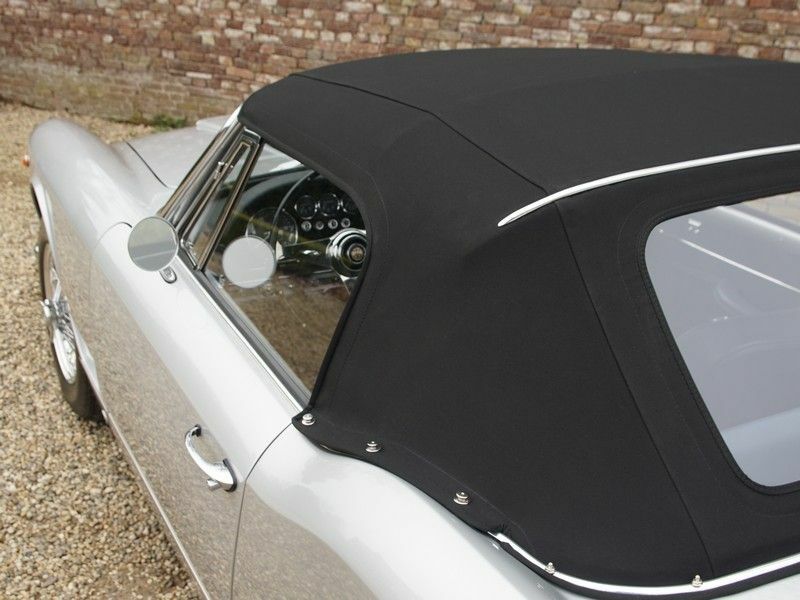 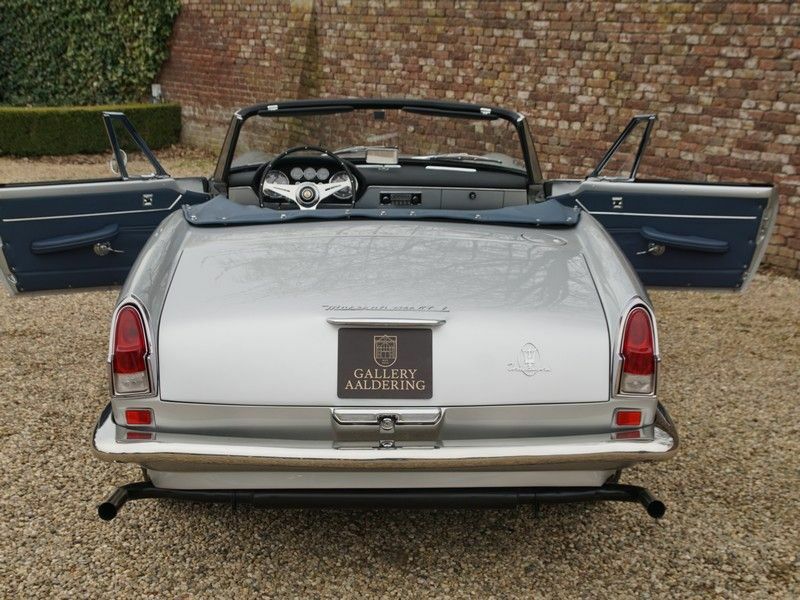 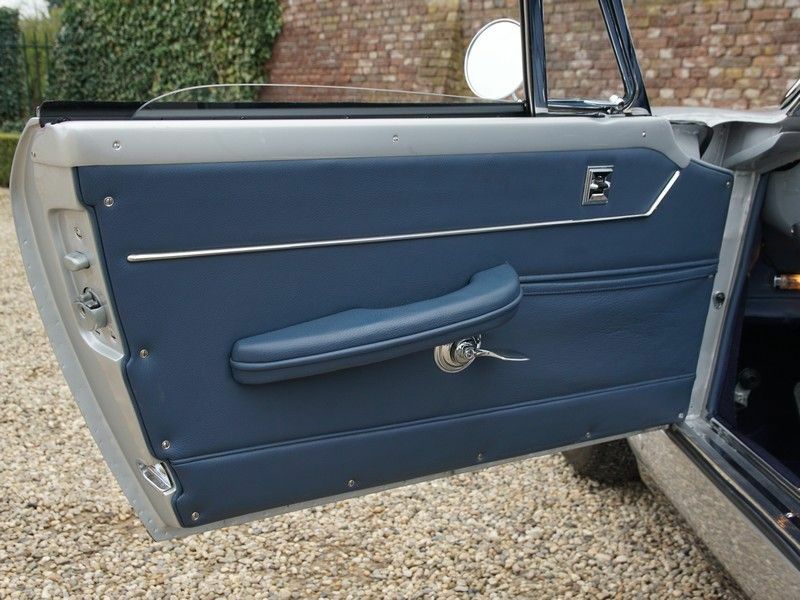 As one may naturally expect, the superb bodywork has perfect fitting body panels and matching quality lacquer finish. 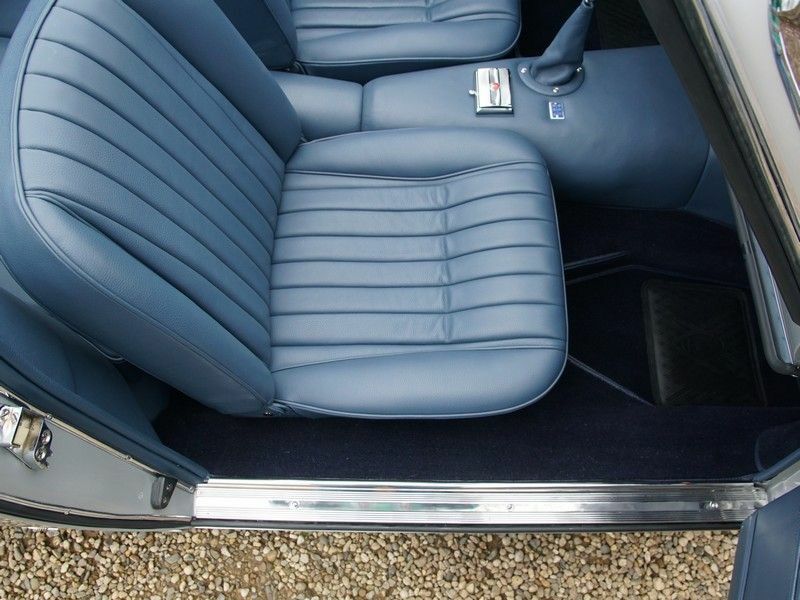 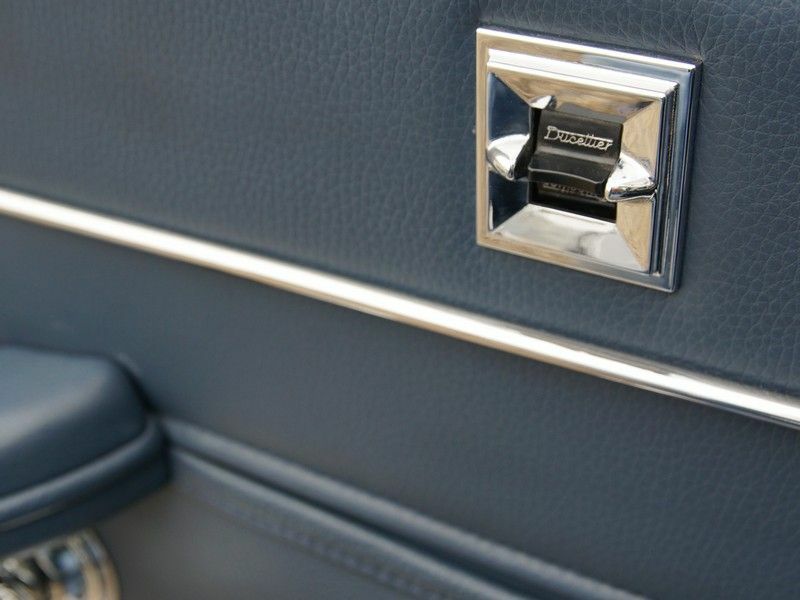 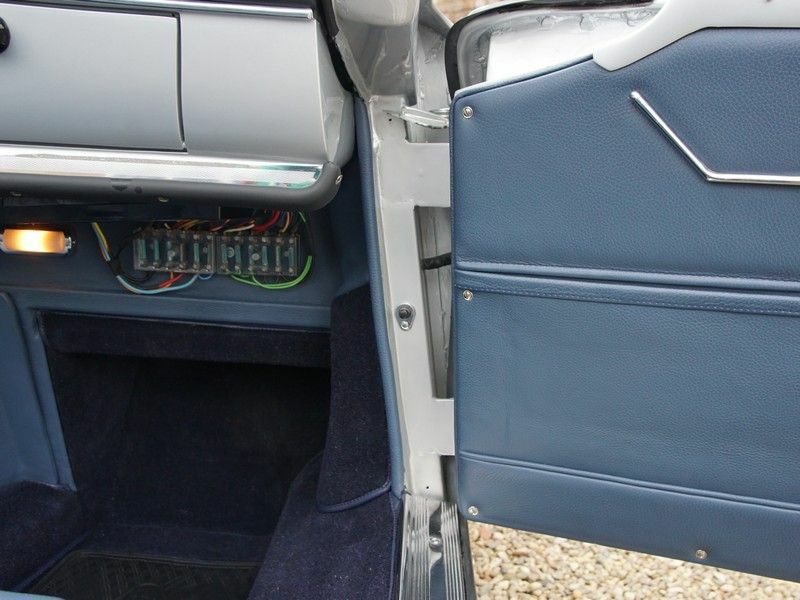 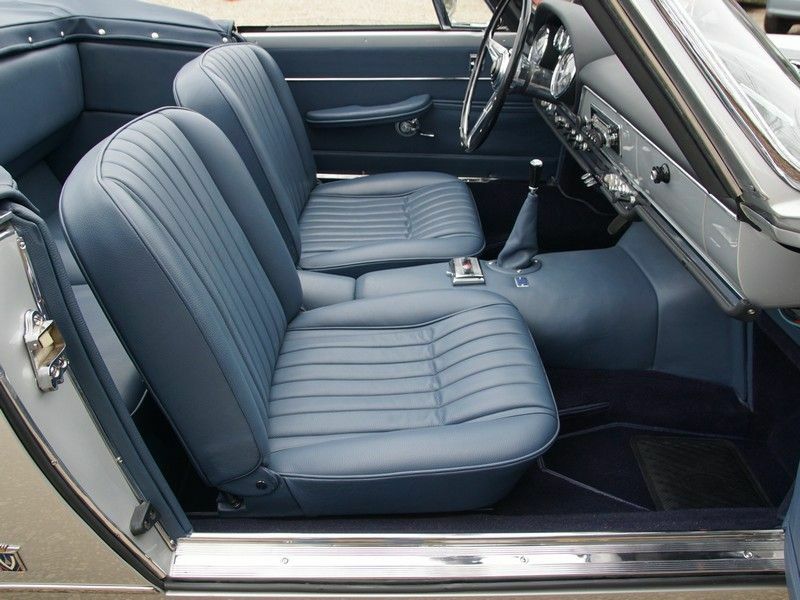 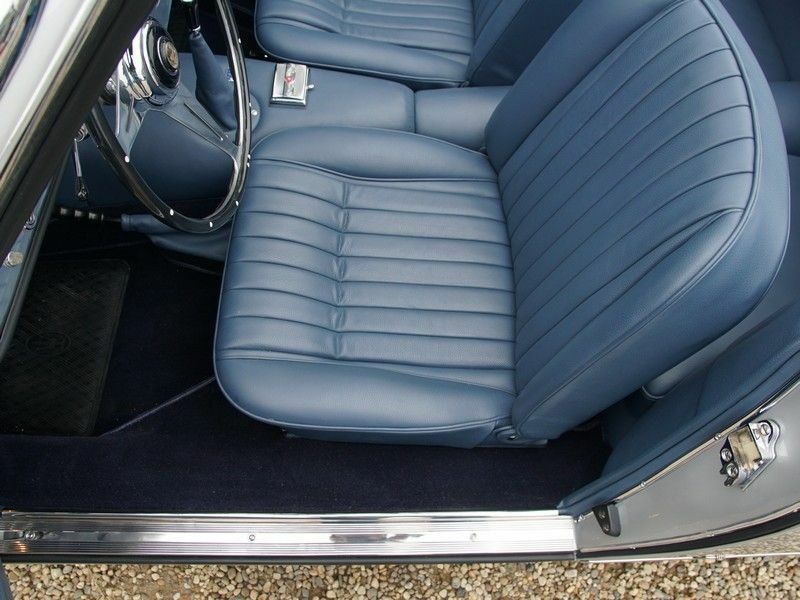 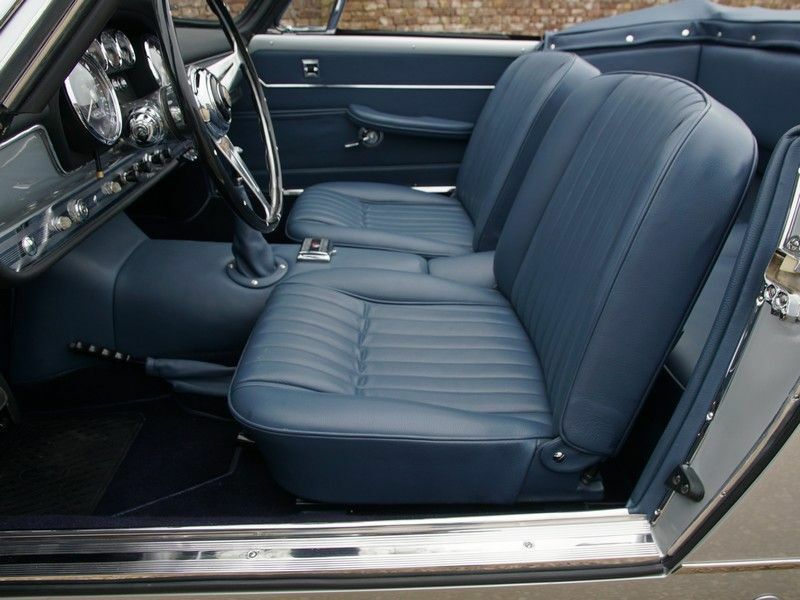 It has a lovely blue leather interior trim and matching hood. 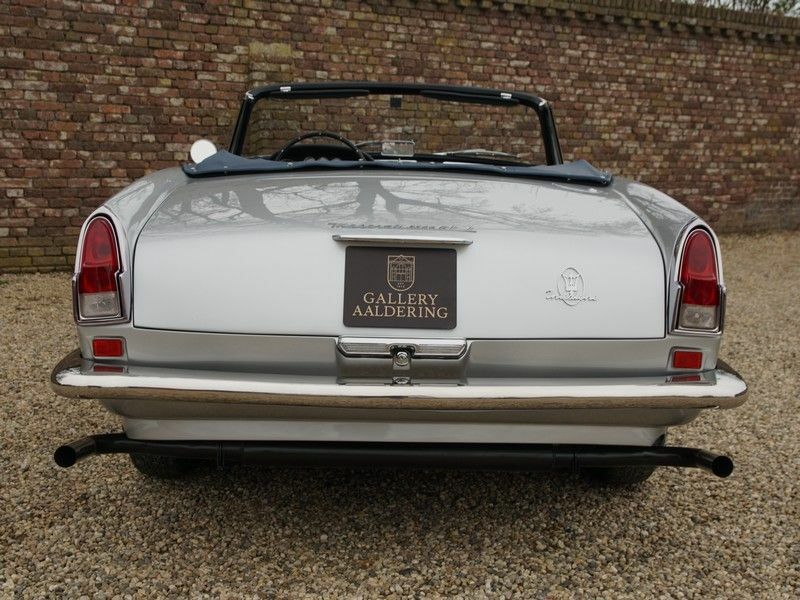 Mechanically 100 % and thanks to the Weber conversion and retention of the original injection system, a pure joy to drive. 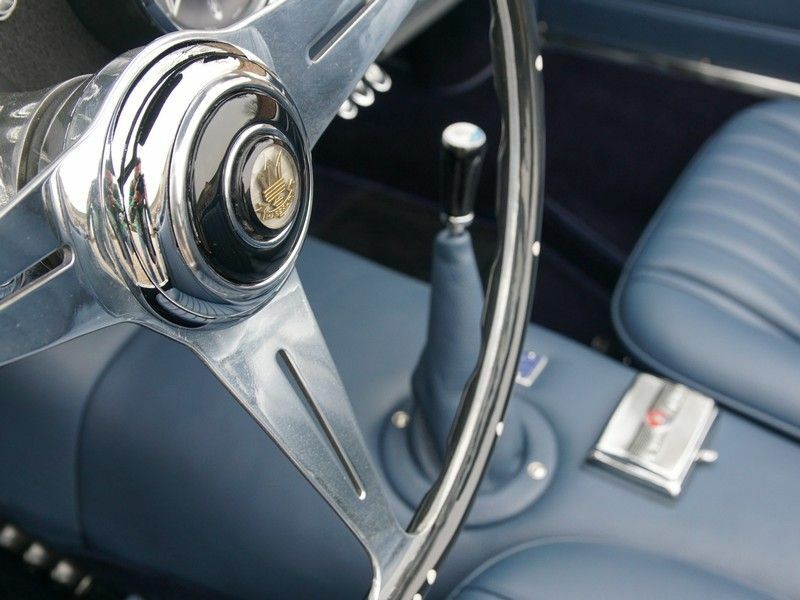 The car comes with a full history. 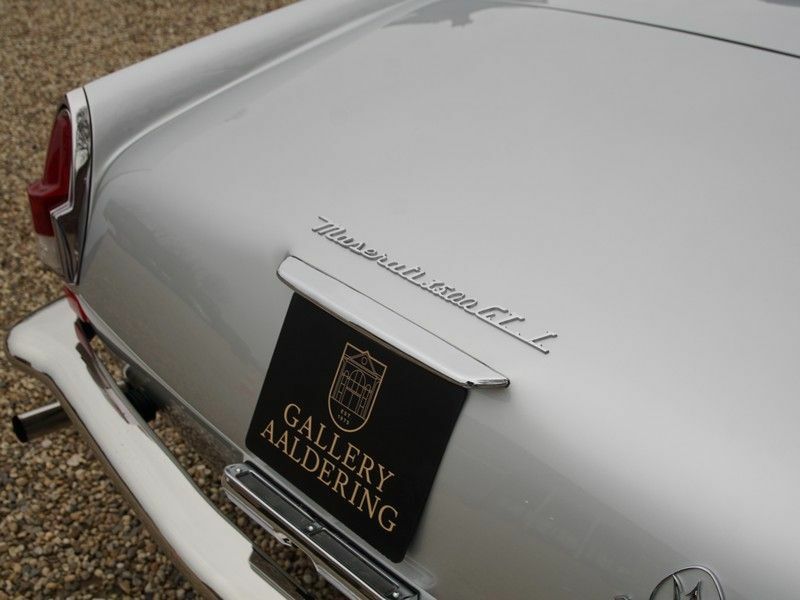 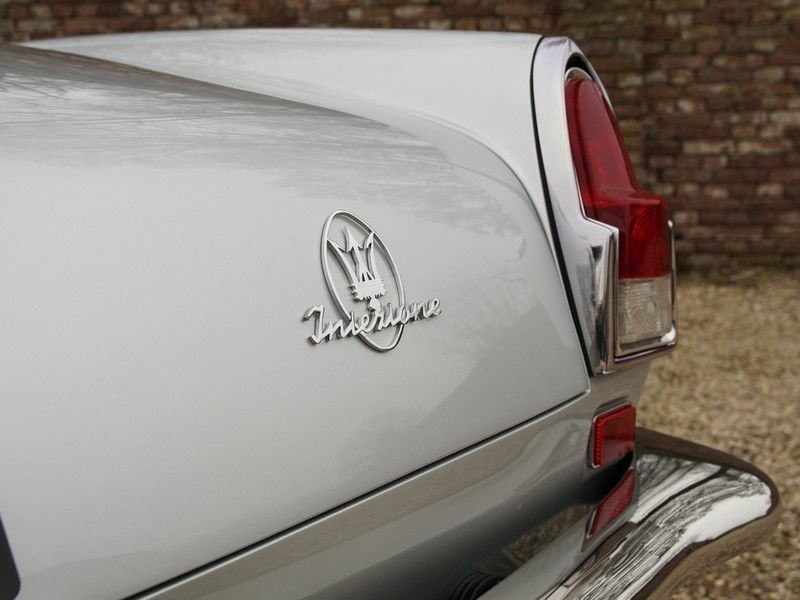 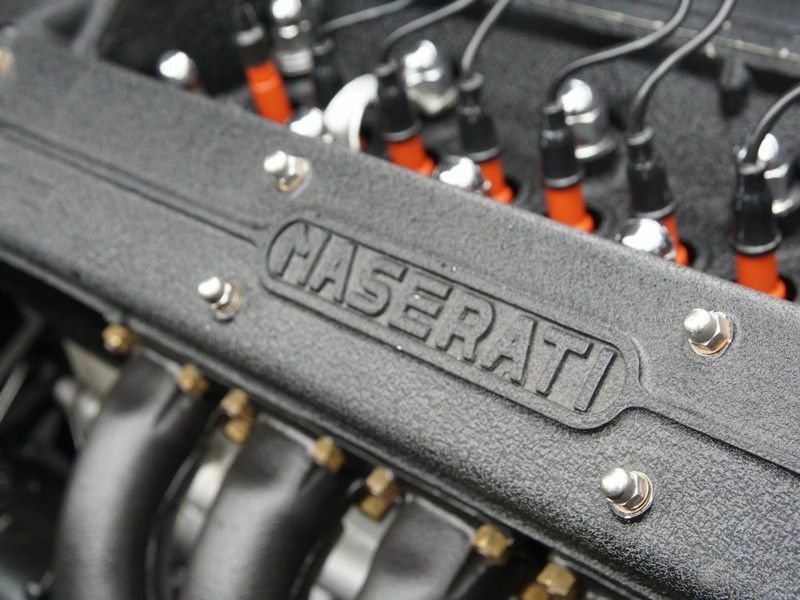 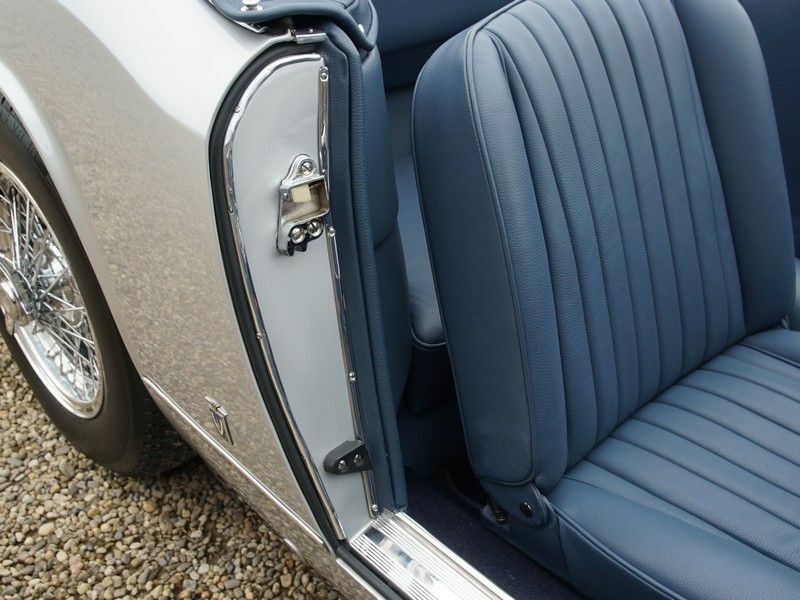 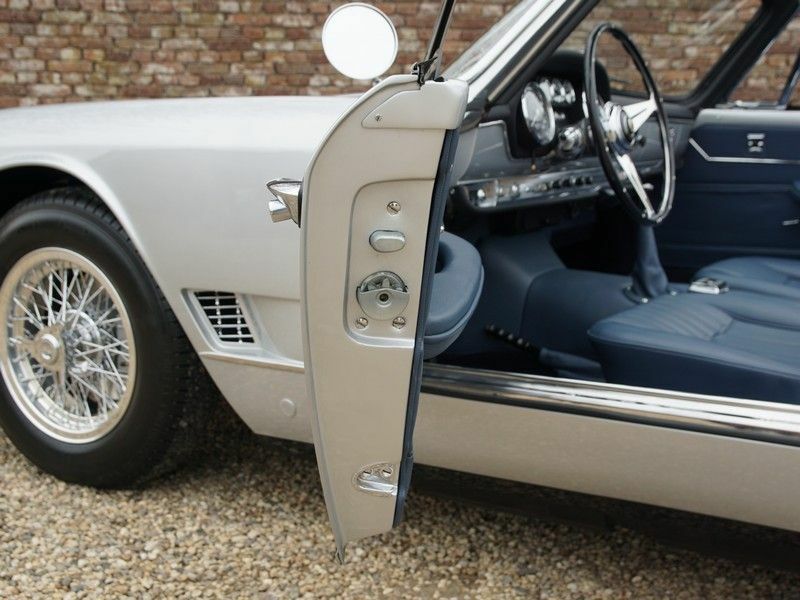 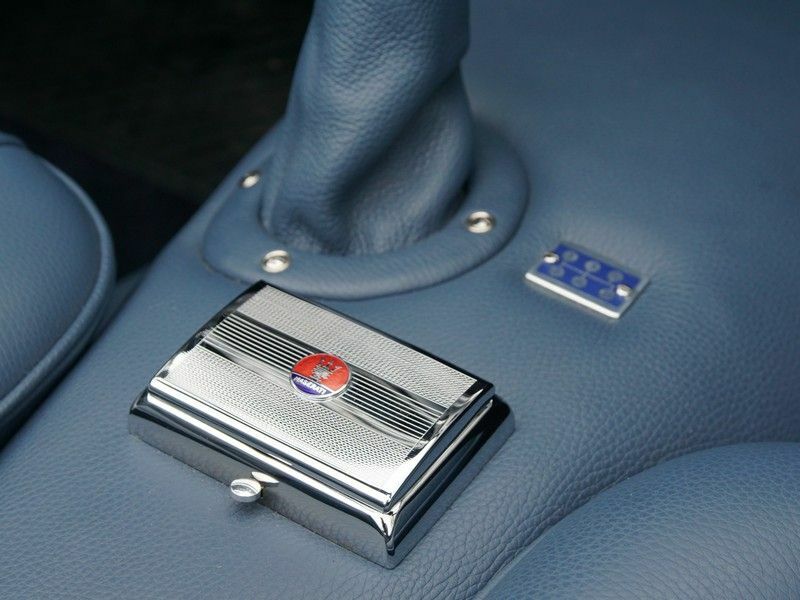 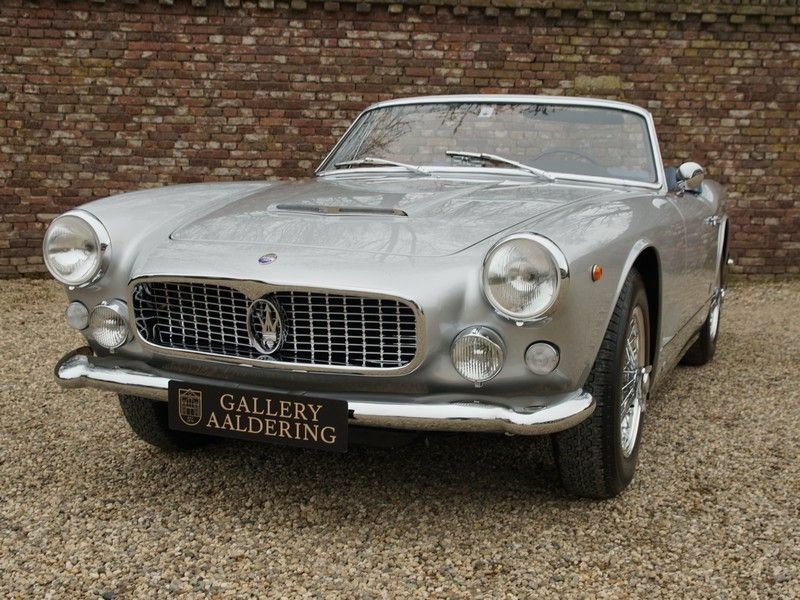 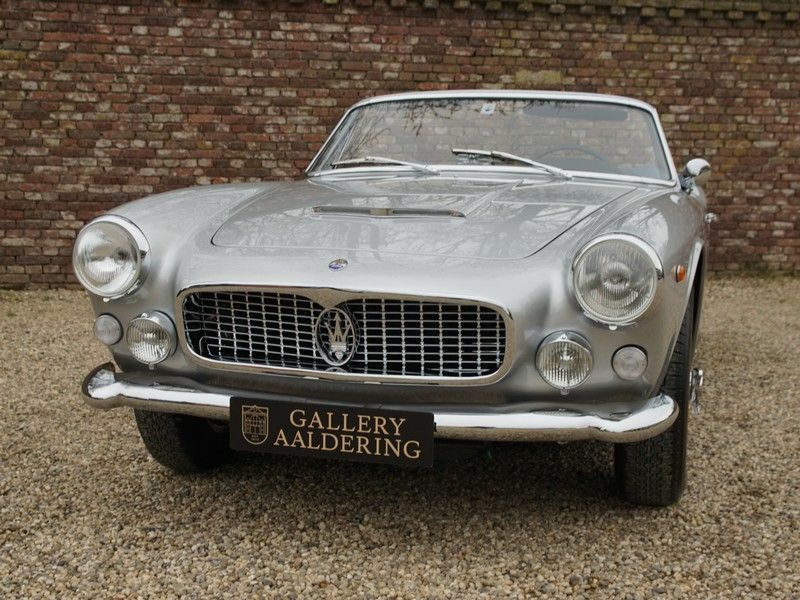 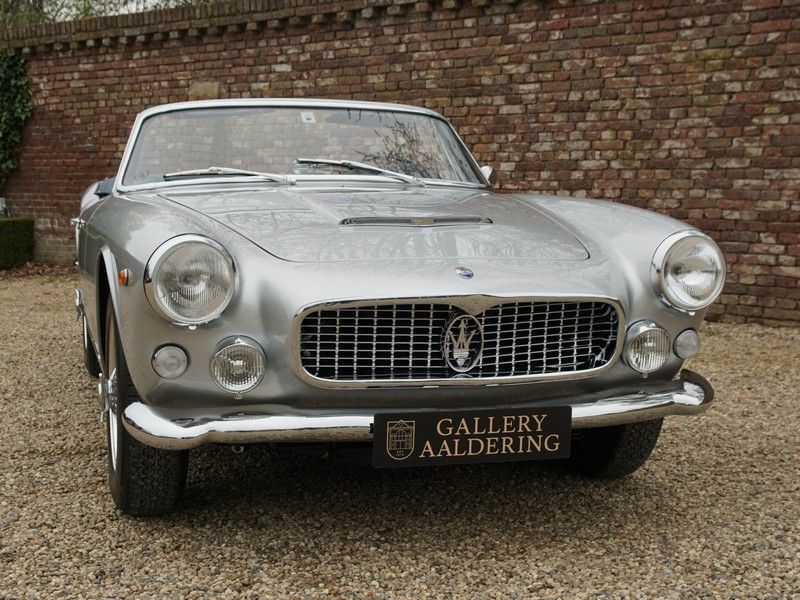 It has extensive Maserati certification confirming every number and colour specification, as well as having a FIVA certificate, the old Italian number plates, an ‘ASI’ report and a plethora of invoices relating to the restoration. 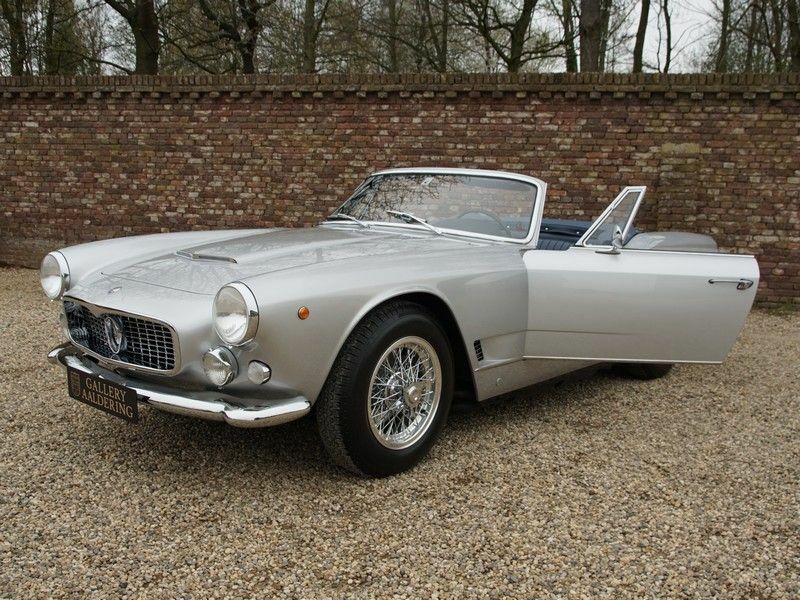 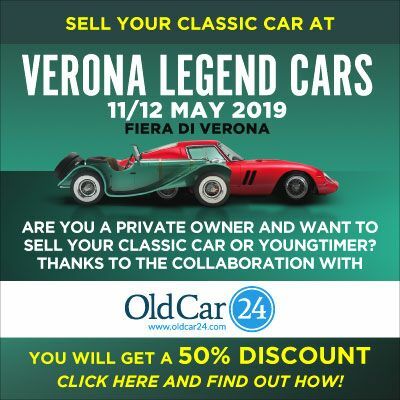 This is a top quality Vignale Spyder with a fantastically documented unique provenance. 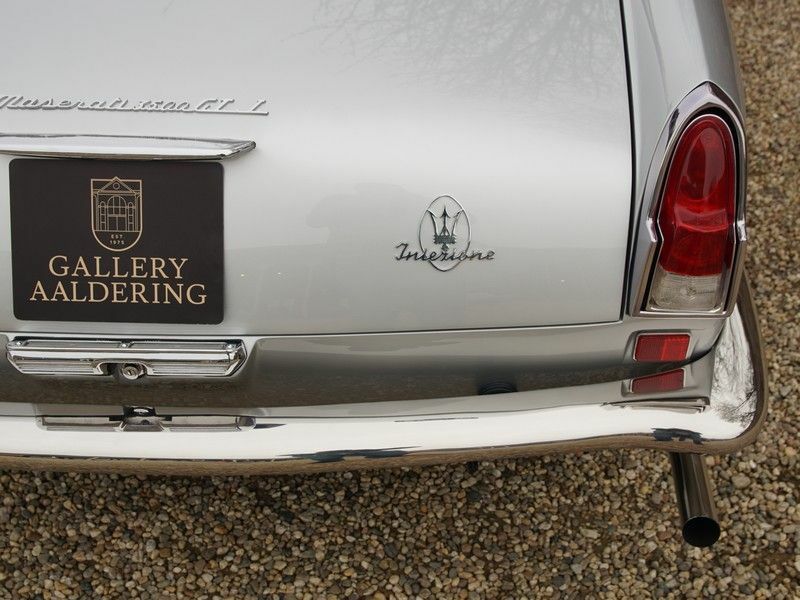 A true collectors item!